The deadline date was incorrect in a previous email. We apologize for this horrible, horrible mistake. We have written a short poem in order to express our feelings of sorrow for this grievous error. We hope you enjoy, and we pray that you still will send us your work. Want to win a Tandem Bagels gift card? Submit a poem to the monthly JANUS POETRY COMPETITION! 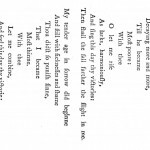 What is concrete poetry? 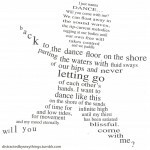 Concrete poetry are poems in which the words are constructed to create an image (see examples). TO SUBMIT, please send the email with the subject as ” [Put your name here], APRIL Janus Comp ” to janus@williston.com with an attached word document which has in it both your name and the title of your piece. The winner will get a GIFTCARD TO TANDEM and be put in Janus! Good luck to all, and stay awesome.